The British Prime Minister’s vision of the nation’s trading relationship has left trade officials and business executives alike puzzled on the practicality of her bold claims. While pushing to leave the EU single market, Theresa May will push to keep market access in certain industries such as automobiles and aerospace. While advocative Britain would pull out from the EU customs union, she would like to retain customs agreement to remove tariffs and have frictionless trade. Many trade experts speaking out claiming that requesting and implementing sector specific customs deals would be very difficult to achieve on legal, technical and political grounds. On legal grounds, The World Trade Organisation rules prohibits regional or bilateral trade agreements that do not cover ‘all areas of trade’. The technical aspect proves complicated as the role of the customs union is a common tariff with non-member economies, meaning goods and services can move freely within the union without the need of custom checks. 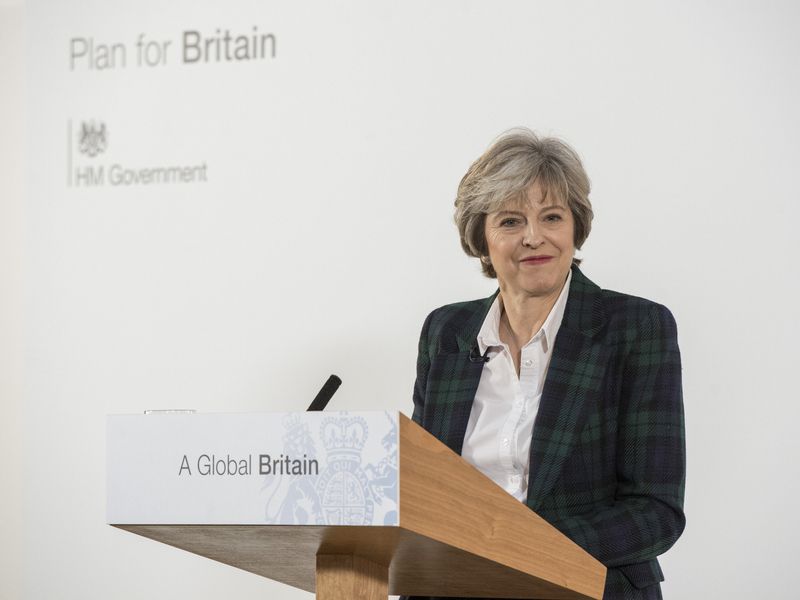 What the British Prime Minister wants to put forward would run into issues, especially in the in regards to drawing up boundaries within a sector. For example, focusing on her favoured automobile industry, British suppliers of the many components of a vehicle will have to increase lobbying efforts to make sure their parts are counted into the customs agreement to prevent their goods from being subject to bureaucracy. As a result, the increased friction in cross-border trade will damage production timing and supply chain management of aerospace and automobile industries. With the many obstacles in her way, Theresa May plans to visit the world’s largest economy to bolster up trade agreements in an attempt to strengthen Britain’s trade links. With Trumps election cementing the uncertainty outlook on trade relations between the US and China as the newly appointed president has casted doubts on the benefits of free trade, Mrs May is given a golden opportunity to proclaim her commitment to free trade and establish a relationship with Beijing. China would greatly value a reaffirmation of Britain’s support following the sharp deterioration in US-China ties following Trump’s election. Despite Mrs May’s optimism, declaring the China-Britain trade relationship as the ‘Golden era’, Beijing has slowed in the number of high profiled projects as of recently. A great number due to the uncertainty of Britain’s vote to leave the EU as well as China’s own domestic concerns. Without losing hope, Mrs May furthers her efforts to rebuild and secure Britain’s much needed trade relations by becoming the first foreign leader to meet President Trump in the White House. She aims to enforce the topic of trade relations and use the topic as a key lever on how to increase prosperity for the people of the US and UK. As the UK, under current circumstances, cannot sign new trade deals with the US while still a member of the EU, there still lies hope for Britain to undo barriers with non EU economies such as China and the US which are currently impeding trade. Previous articleMen's Darts - boom or bust?